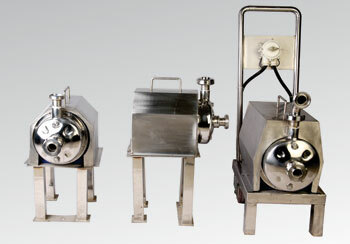 The machine is a pair of roller grinder whose product is rough smashed malt. Its main gadget is its two cylindrical drums with the same diameter. The two drums rotate in opposite directions for generating extruding force and shearing force to smash malt. There are waves / grooves on the drum surface. The malt is sent in the gap between the drums. The opening between the drums can be adjusted according to smashing requirement and size of broken malt grain required for the brewing purpose. 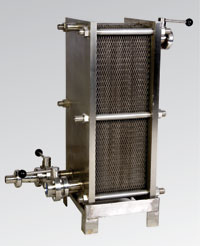 It is used for soaking malt, mashing and boiling wort. The stainless steel product profile is ornamented by red / yellow copper plate and heat is preserved by special insulation material. Main components are composed of rake mixer, heater system and Geared motor, and equipped with temperature controller and wort cooler, which completes the whole saccharification process. 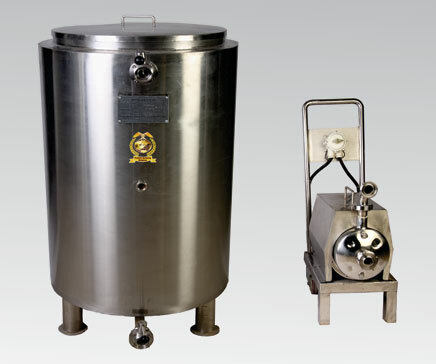 Mash and Boiling TankS are provided with option of top mixing and bottom mixing according to mixing form and steam inter layer heating and electric heating according to heating form. The stainless steel (SS 304) product profile is ornamented by red/ yellow copper plate and heat is preserved by special insulation material. It is composed of upper part and lower part. The upper part is Filter Tank (i.e.,) Lauter Tank which is used for separating suspended solid from the liquid, Wort and the lower part is temporary storage of Wort as well as a whirlpool which is used for separating coarse sludge, protein solid, hops from the wort. It is used to reduce the temperature of the hot wort from 90 to 100° C to 16 to 20°C by passing refrigerant from one side and hot wort from the other side in sealed isolated stainless steel lazer welded plates. 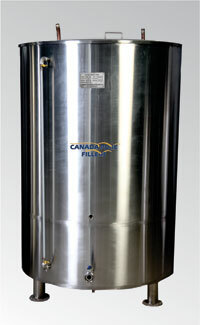 The Fermentation Tank is made out of stainless steel and it is insulated in its exterior by Polyurethane insulation material. 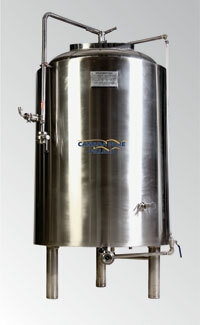 The Fermentation Tank is provided with dimpled jackets to allow even cooling of the fermenting beer. The temperature of the jackets can be set in the PLC or temperature controller provided and automatic glycol valve is provided to open or close to achieve the set temperature. 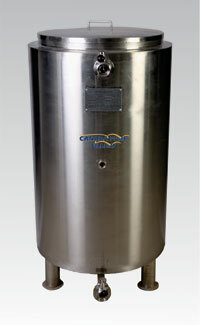 Air and vacuum release valves are provided as safety on top of the fermentation tank. Pressure gauge along with Co2 exhaust valve is provided in the system. A cone shaped bottom is provided for yeast settling after fermentation process has been completed. 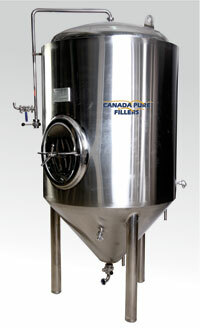 The Bright Beer Tank is similar in construction and features of the Fermentation Tank. 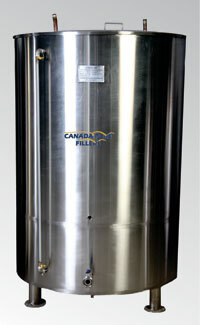 This tank is used for storing final produced beer before disposing it through taps or transfered for bottling. The Refrigeration system is critical in the production of Beer has it controls the Fermentation process and keep the temperature ideal for yeast during the process of conversation of sugar into alcohol. 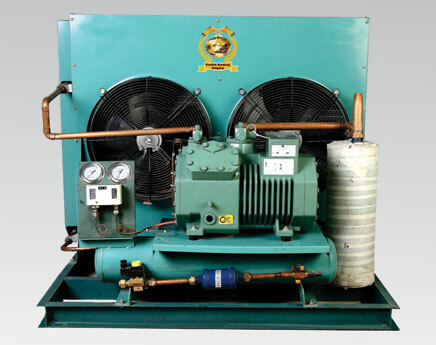 The refrigeration system is the key system in the fermentation process as it regulates the temperature absorbing the intermediate product heat caused during the fermentation process. 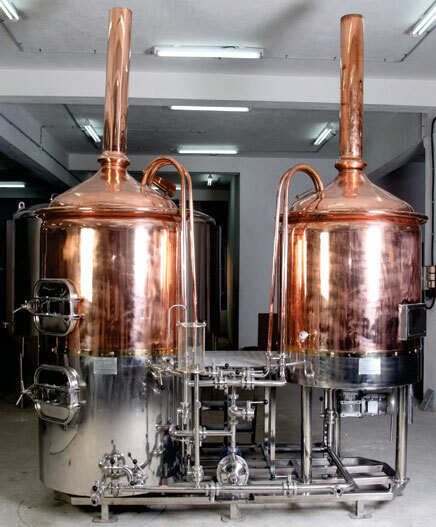 Various types and recipes of beer requires different temperatures which can be controlled by the refrigeration system. b)Ice water tank which is used for cooling the hot wort and alcohol water tank which is used for cooling both the fermentation tank and bright beer tank. 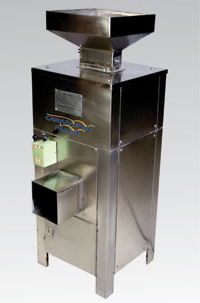 CIP system is namely cleaning in place. The system is used to wash and sanitize all the brewery equipments including brew hose, fermentation tank and bright beer tank. 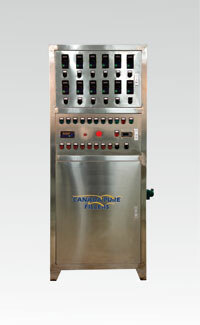 The system consists of asepsis water tank as well as hot alkali tank. 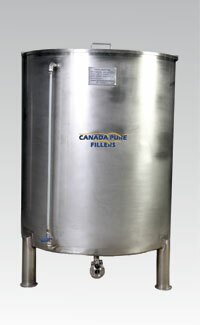 Sterile water is used from the water treatment equipment in both of these tanks. 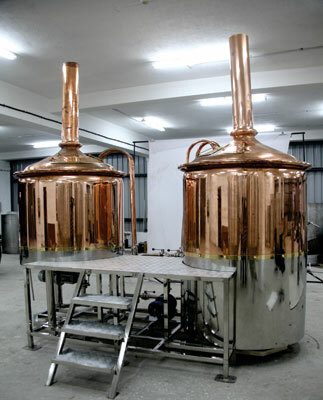 A moving pump is used to re-circulated and clean the various equipments of the Micro Brewery.